In 1963, the ERT adopted another area which was in dire needof help, which was Towing. The Phoxlind and Trulit municipal councils agreed tofund this project with a 30% split each, and the other thirty being covered bytows, making this the first government funded sector of the ERT. In 1969, the local emergency council met and agreed to supplythe ERT with funds to secure a large ground as a complex for training and housingof their small fleet of vehicles. At this time, the Headquarters wasconstructed, a single story steel structure building as well as the Impound andwreck yards that still stand today. The year 1972 was a big year for the ERT, when the new StateGovernor named the ERT as the County’s Emergency Task Force, 6 years after theformer County Sheriff Department was forced to shut down due to lack of funding.This meant the ERT would take on a full time staff of 6 police officers, 12fire fighters, 10 TEC workers, and 6 Medical personnel, as well as 6administrative staff, including the first ERT Chief of Operations. During thistime, the ERT secured 3 marked police vehicles, a new Fire Tanker as well as anew Ladder Truck, a new flatbed tow, a small crane and a technical servicesvan, as well as a brand new ambulance paid for by PEMS. 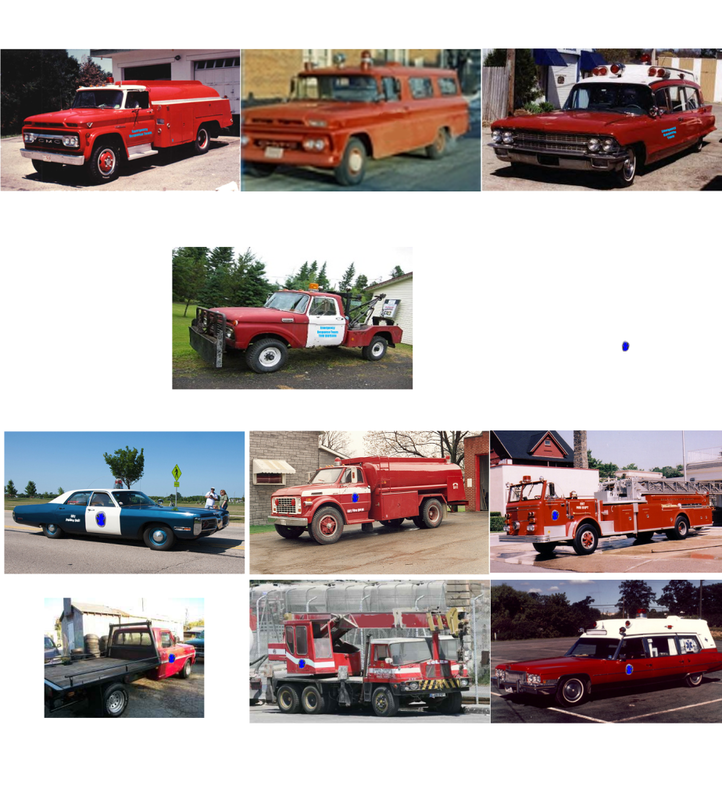 Over the course of the next 10 years, the ERT grew to be afully functioning large department, to match with the county’s growth,including a fleet of 10 marked police cars, an unmarked unit, a new pumper aswell as a equipment truck, two new ambulances, three technical services trucks,and 3 more tow trucks. During this time period, the ERT also received theirfirst new rank structure, appointing in Operations Chiefs and Deputy OperationsChiefs to each division, as well as the position of Chief of Operations beingre-titled to General Chief, to avoid confusion. The complex also receivedseveral upgrades, including a TEC building, for storage of TEC vehicles and maintenance,built in 1975, a full fire station built in 1978, a police station built in1980 and a trauma hospital built in 1982. In 1984, the ERT County Police were also tasked withdeveloping a Crime Scene Unit as well as a Tactical Squad, affectionately namedTAC for Tactical Association for the County. It was also during this year that the ERT PD adopted it's current paint schemes. Later that year, the first District Commissionerwas appointed office by agency vote. The rank of General Chief remained, and followed the same roles, however the political side of the job was moved to District Commissioner. In 1992, the District Commissioner at the Time decided to open a Training Academy, to train the ERT as well as all other emergencyservices in the area, removing the burden of leaving the county for advanced emergencytraining. At this time a new rank structure in and amongst its own wasdelivered, allowing certain officers to work part time as Training AcademyCaptains, Semi-Time (when not on call, could attend a class) as TrainingAcademy Majors, or Full Time as Training Academy Instructors, Deputy DepartmentChiefs, and Training Academy Department Chiefs. To oversee the entire academy,a commanding officer was created, and given the job titled Community Chief,which aside from Training Academy duties, this officer was also responsible foroverseeing the ERT’s Community Outreach services. The first selected Deputy tothis position was given to Current DC D. Burke. An unfortunate accident rocked the command ranks of the ERTwhen the Community Chief was injured with a serious car crash, forcing severalranks to be moved, including promotion of Deputy Community Chief Burke toCommunity Chief. This lasted for twelve months, until the District Commissionerat the Time, Andrew Williams passed away due to a coronary failure. Once againthe ranks were shuffled, General Chief Johnson was appointed after the DeputyDC declined the position due to a family illness, in turn, also promotingCommunity Chief Burke to General Chief. In 2003, General Chief Burke and District CommissionerJohnson were approached by the Federal Emergency Management Agency, requestingthat the ERT join to assist in starting 30 other Emergency Response Teamssimilar to this one throughout the United States in areas that need it most dueto lack of funding. In return FEMA offered to cover all financial areas of theERT. It was at this time that the old, outdated Headquarters, as well as therest of the ERT Complex receiving major construction, including adding twolevels to the ERT Headquarters, and Creating COPA, the Centre for OperationalPlanning and Administration. In 2005, after General Chief Burke established the thirty grassroots stations, the national office for the ERT was appointed as the PhoxlindCentre, therefore making District Commissioner National Director, and GeneralChief Burke, National Chief Burke. Although these ranks were appointed, and newduties were added to the job descriptions, the local names, as well as dutieswere also kept. The ERT was declared a standalone agency in 2007, after thegrass roots projects sprouted into approximately 80 different locations. Thatsame year, District Commissioner Johnson Retired, and Burke was the first swornin National Director of the Emergency Response Team. To this day, the Phoxlind Centre is the national office forthe ERT, hosting training for all agencies far and wide. The best of the bestcome to US for training. Feels good to be a part of something that started sosmall, but grew to be not only the biggest Emergency Management Team, but alsothe most elite in the country, perhaps even the world. Spread the word, post comments! Enjoy! You had a lot of time on your hands. good story line. Haha, That's what you get with writers! That's awesome! I was wondering why we're called TAC and not SWAT. I don't feel like it rolls off the toungue. Still, that's a nice backplot! I forgot that you were a writer. Good storyline and writing, but the formatting is a bit harsh. Other than that, really enjoyable! Good writing! Nice to have a background story Have to second Halls though, the wall of text is a bit hard to read. Maybe split it into paragraphs by year? That looks much better Excellent read. Little things like this are always nice, not neccessary to the game, but gives you a feel, and lets you know why certain things aren't named the same as the norm, such as the TAC team. ahh I see you demonstrate your terrific writing skills yet again, well done. Nice, am/was writing a school paper on the ERT and had ssome basic history that was close to this. I am glad to have the "actual" history here now! Good job it adds a little more to the ERT. Dear Bruce, if I catch you in my photoshop one more time, I'm going to break every one of your fingers. Good history! I also like to write, good job! lol Should I go and arrest him? The old sign used to be kinda like tree? J.Libor wrote: lol Should I go and arrest him? What I'm getting arressted!? Anyway good historical photos. In Indiana, there are still a lot of tankers like the one in the 5th photo.